Bring the warmth of log cabin charm into your bedroom with the Cumberland Collection! Complete the look of your bed with the Luxury Quilted Sham. Bring the warmth of log cabin charm into your bedroom with the Cumberland Collection! Complete the look of your bed with the Bed Skirt. This is for the King size. Bring the warmth of log cabin charm into your bedroom! 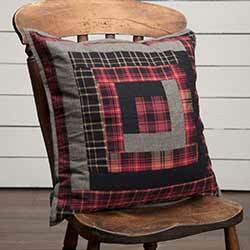 Features homespun fabrics in checks, solid, and plaids in a palette of chili pepper red, caviar black, and natural tans. This is for the King size quilt. 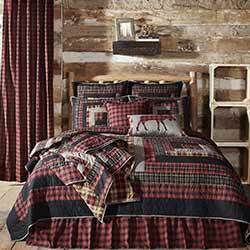 Bring the warmth of log cabin charm into your bedroom! 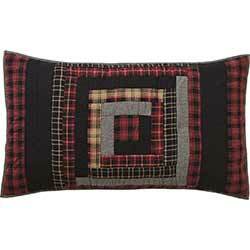 Features homespun fabrics in checks, solid, and plaids in a palette of chili pepper red, caviar black, and natural tans. This is for the Luxury King size quilt. Bring the warmth of log cabin charm into your bedroom with the Cumberland Collection! 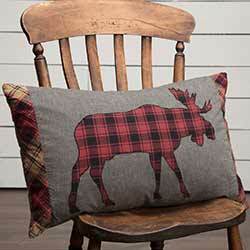 Complete the look of your bed with the Cumberland Pillow Cases. Bring the warmth of log cabin charm into your bedroom with the Cumberland Collection! Complete the look of your bed with the Bed Skirt. This is for the Queen size. 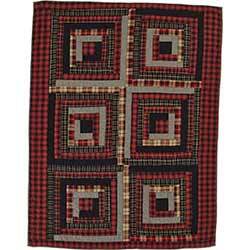 Bring the warmth of log cabin charm into your bedroom! 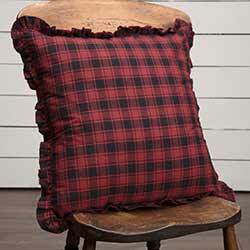 Features homespun fabrics in checks, solid, and plaids in a palette of chili pepper red, caviar black, and natural tans. This is for the Queen size quilt. Bring the warmth of log cabin charm into your bedroom with the Cumberland Collection! 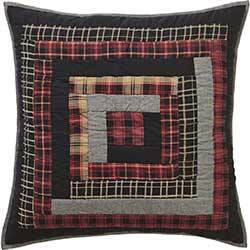 The Quilted Throw features large log cabin blocks and plaids of chili pepper reds, caviar blacks, and natural tans for the ultimate cabin comfort. Bring the warmth of log cabin charm into your bedroom with the Cumberland Collection! Complete the look of your bed with the Standard Quilted Sham. Bring the warmth of log cabin charm into your bedroom with the Cumberland Collection! 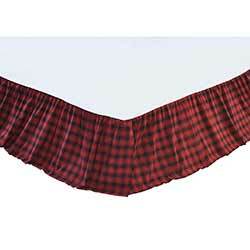 Complete the look of your bed with the Bed Skirt. This is for the Twin size. 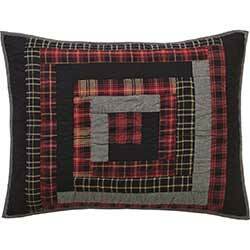 Bring the warmth of log cabin charm into your bedroom! 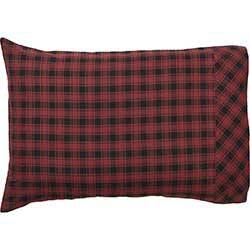 Features homespun fabrics in checks, solid, and plaids in a palette of chili pepper red, caviar black, and natural tans. This is for the Twin size quilt.